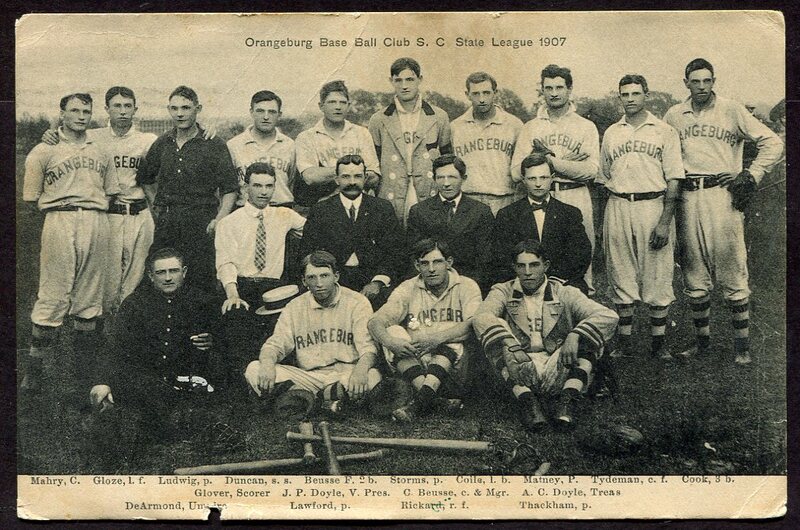 1907 Orangeburg Edistoes South Carolina League Postcard, featuring all of the players and their Manager, along with club executives, each named below the picture. Several of these players can be found in the T209 and T210 set playing with other minor league teams of the era. 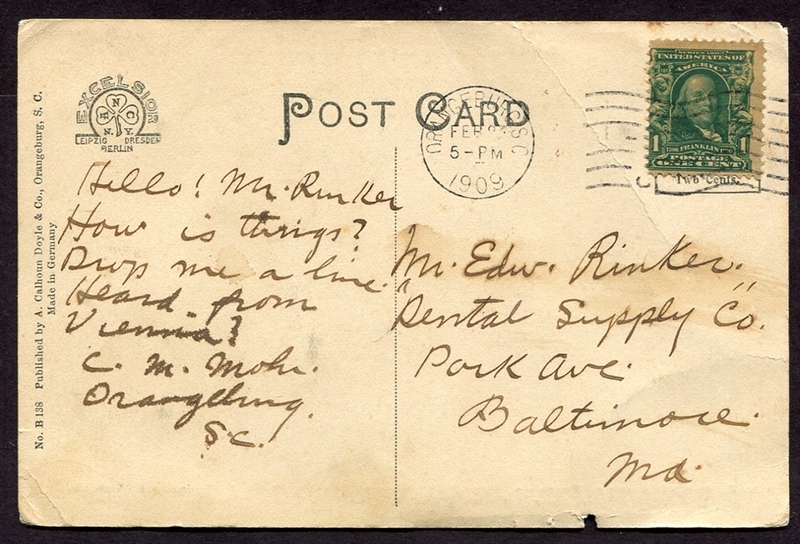 Postally used with a few nibs out of the edge, a very scarce image of another short-lived team of the South Carolina League.